Sen. Menendez says op-ed almost made him sick, House Speaker John Boehner "insulted"
(CNN) -- If Vladimir Putin wanted to get America's attention, he's done a pretty good job. The Russian president's opinion piece arguing against military intervention in Syria, published on The New York Times' website late Wednesday, set off a flurry of reactions -- some outraged, some impressed, and some just plain bemused. Democratic Sen. Robert Menendez said the piece made him almost want to throw up, and House Speaker John Boehner said he was "insulted." Putin said he wrote the article "to speak directly to the American people and their political leaders." It was a reference to President Barack Obama's address on Tuesday night, in which he said that while America can't be a global cop, it ought to act when in certain situations. He concluded with the line, "We are all different, but when we ask for the Lord's blessings, we must not forget that God created us equal." The White House shrugged off the fuss around Putin's jabs at Obama, describing them as "irrelevant." House Minority Leader Nancy Pelosi questioned Putin's views on equality. "What I found interesting was the closing -- when he says when we pray to God he judges us all - I don't know exactly what his words are but he says `we are all God's children.' I think that's great. I hope it applies to gays and lesbians in Russia as well," Pelosi said. There are others who took issue with Putin's view. "Hey Putin, next time you wanna write a letter to convince America about something, how about you skip saying we're not exceptional? #rude," tweeted Sarah Rumpf, a political consultant in Texas. Is the U.S. really No. 1? "Man who launched military action in Georgia and Chechnya without UN say-so says wars without it are illegal?" tweeted the journalist John Podhoretz. 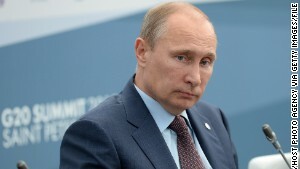 Putin, then the prime minister of Russia, struck a different tone in which he sought to explain Russia's military action. "No government can stand idly by when terrorism strikes," he wrote. "It is the solemn duty of all governments to protect their citizens from danger." The overall tone of Putin's latest broadside was too much for Menendez, chairman of the Senate Foreign Relations Committee, who said he read the article at dinner on Wednesday. 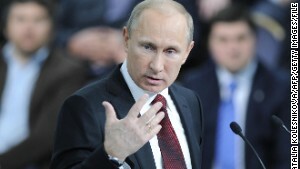 Putin made a compelling, though disingenuous, case against military strikes. 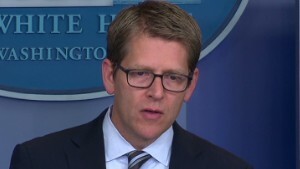 Its effectiveness shows how badly Pres Obama was outmaneuvered. "I almost wanted to vomit," he said. "I worry when someone who came up through the KGB tells us what is in our national interests and what is not. It really raises the question of how serious the Russian proposal is." "I think it's sad to see him acting with more common sense and humanity than Obama," said Ashton Blazer. 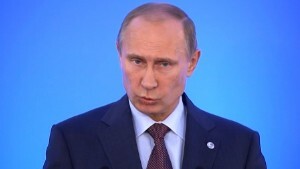 "Putin made a compelling, though disingenuous, case against military strikes. Its effectiveness shows how badly Pres Obama was outmaneuvered," tweeted Marc Lamont Hill. "#Putin diplomatically serves it to Pres. Obama in the last paragraph. Can't believe the #nytimes ran this," wrote Mary F. Mueller. "Putin plays his next move on our very own NYTimes. This is almost getting as good as Breaking Bad," wrote Twitter user @MiketheEye. Others said the tone of the article brought to mind some of the famous photos of Putin in macho poses. "Putin wrote his Times op-ed on an Underwood, shirtless, with hunting knife nearby," joked Chris Regan. Whether or not you think it's true, the idea that America was "chosen" by God to lead the world has shaped history in big ways, from the American Revolution to Election 2012. Americans may call it "the greatest country in the world," but the United States isn't No. 1 in many areas. What can we learn from those who are ahead of us? Citizens of 54 countries became naturalized U.S. citizens in recent ceremony We asked them about their stories and what they think makes America exceptional. David Gergen and Michael Zuckerman say candidates don't have to prove their view of American exceptionalism is better, they need to unite liberty and egalitarianism. The atmosphere is hushed and quiet as about 150 people take their seats. As big days go, this is one of the biggest. All these people are about to become citizens of the United States. CNN's Moni Basu describes how she became an American citizen, and the ways that moment has affected her life. It is nearly impossible to estimate how many U.S. citizens have dual -- or even triple -- citizenships. For those millions, the road to holding two passports is not always simple. American historians share where they enjoy exploring the history of the United States. Here are some of their favorite spots. Readers debate if the U.S. is No. 1 and if it matters. Many said there are good and bad things about America, so perhaps we rank well in some areas, but not others.